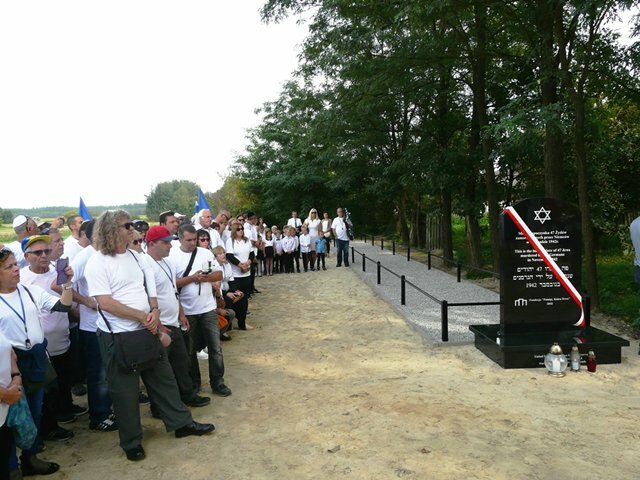 After 76 years since the murder of 47 Jews in Olchowiec, the Lasting Memory Foundation located and commemorated their grave. 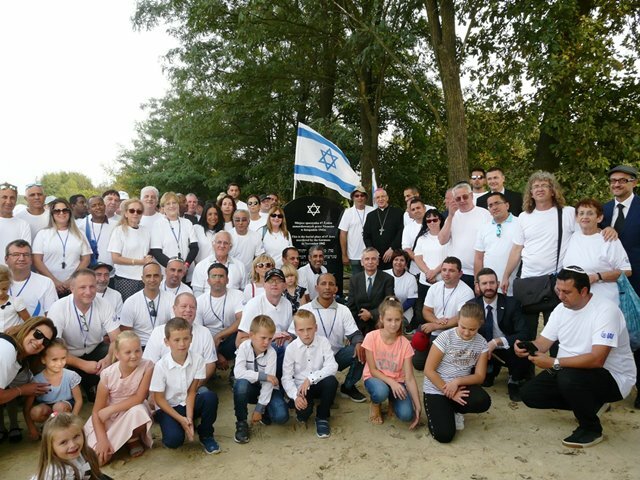 The ceremony of unveiling the memorial stone was attended by local residents, students of four nearby schools, local authorities as well as invited guests from Poland and Israel. In November 1942, in the vicinity of the town of Biłgoraj, the Germans were in the process of liquidating ghettos and deporting Jews to the extermination camp in Bełżec. The Jews attempting to hide were being captured and executed by the German police. 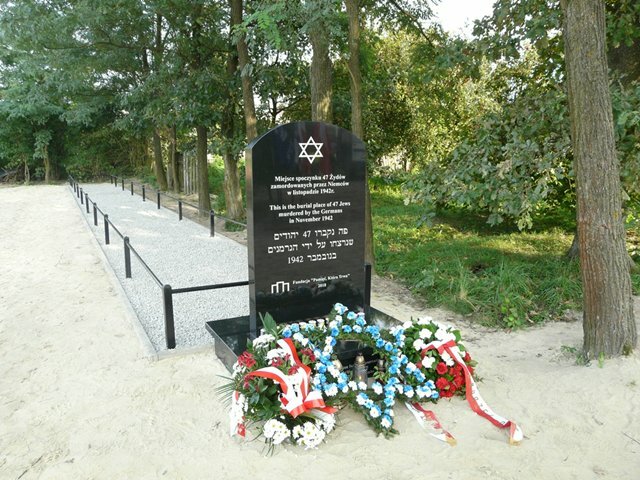 In Olchowiec there was a detention center from which the Jews were taken to the execution sites. The place where the victims had been murdered and buried remained unmarked and overgrown for years. 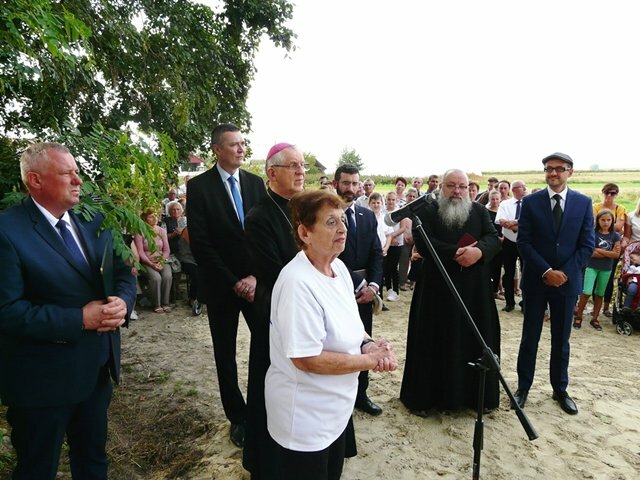 The Foundation, in cooperation with the Commune Office of Obsza, cleaned up the burial site. The grave is 22 meters long, it has been fenced. Also, a memorial plaque restoring the dignity to the nameless Victims has been placed at the front. 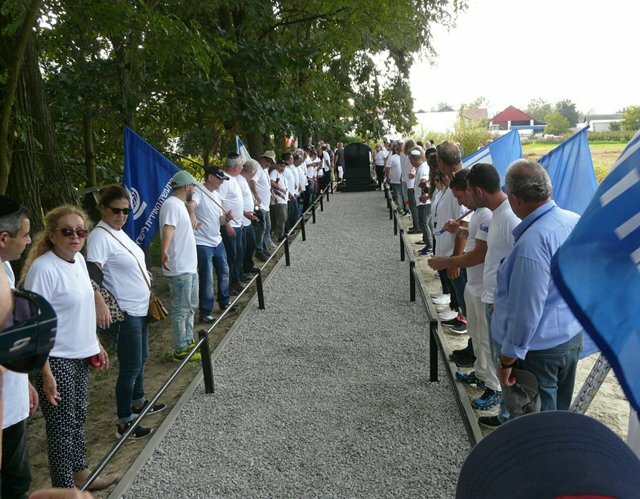 The unveiling ceremony was attended by a representative of the Chancellery of the President of Poland, mayor of Obsza with associates, rabbi of the Jewish Community of Warsaw, representative of the Polish Episcopacy, priest of Obsza parish, color guards and school delegations from neighboring towns, a group of 70 workers from the field of air industry in Israel as well as the residents of local villages. The ceremony was conducted by the President of The Lasting Memory Foundation – Zbigniew Niziński. 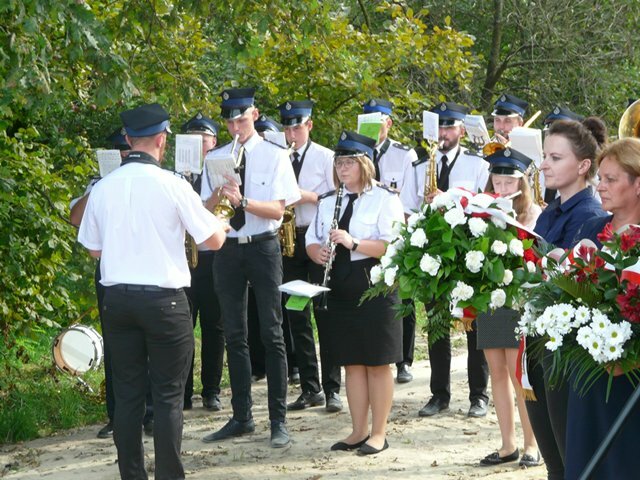 The participants paid tribute to the dead with speeches, prayers, songs and music by the Brass Band of Obsza.